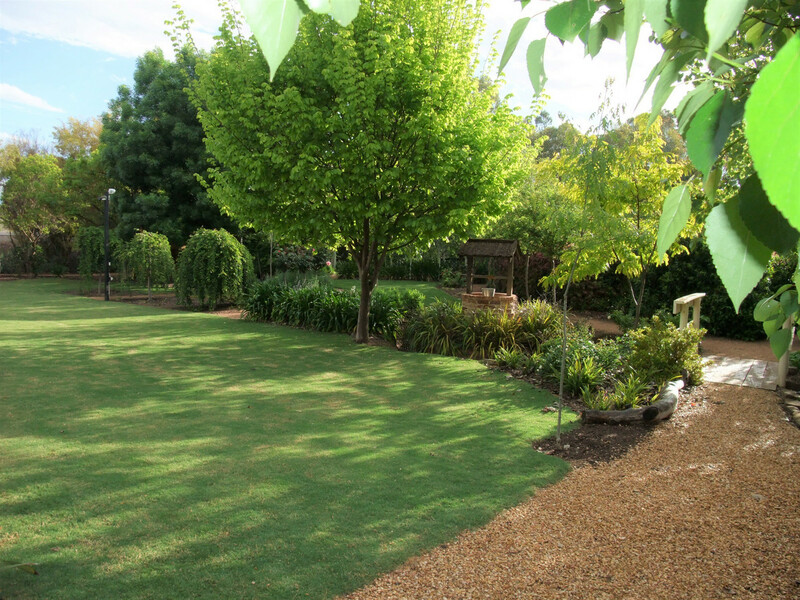 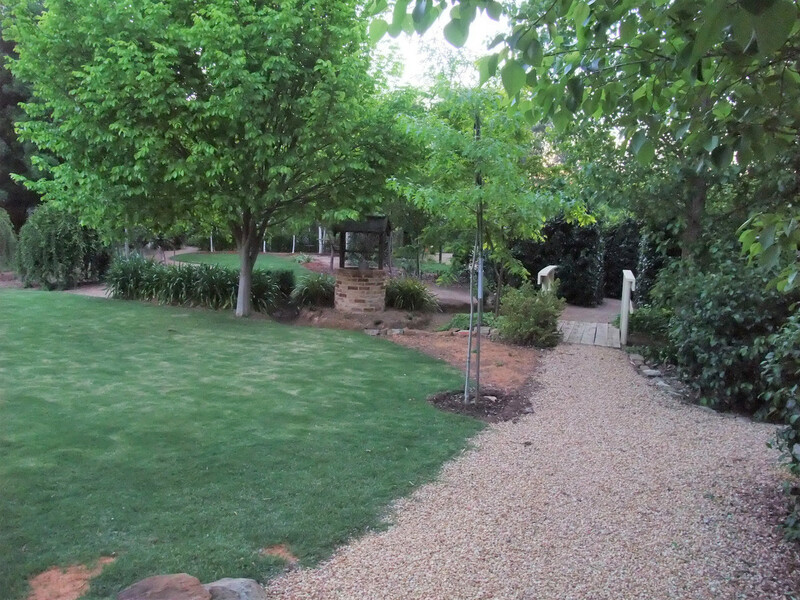 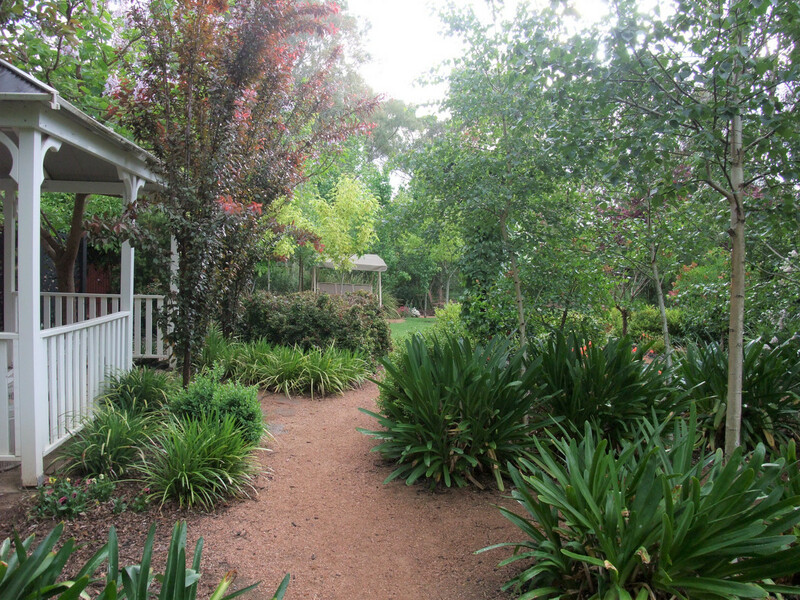 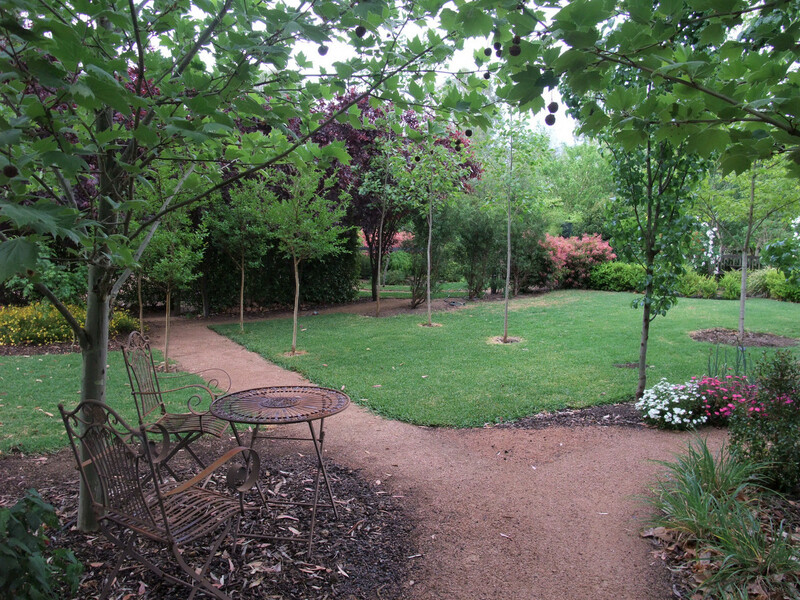 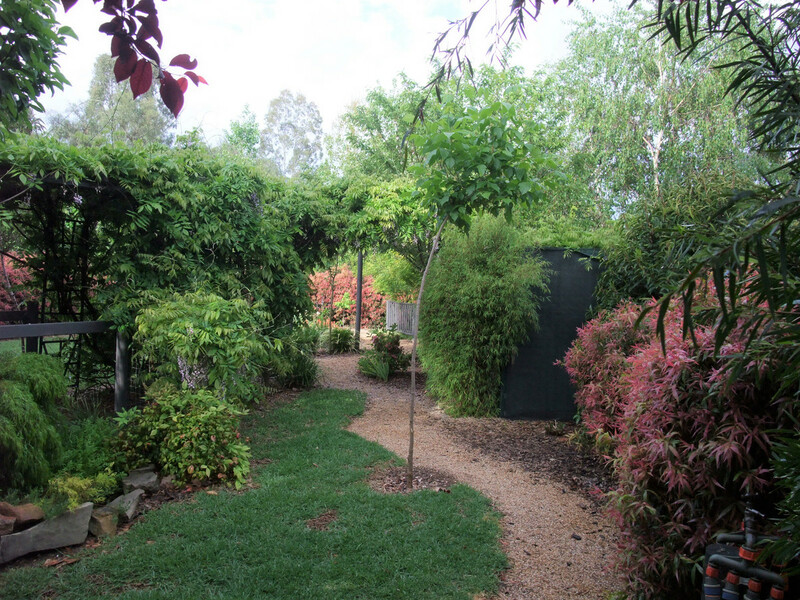 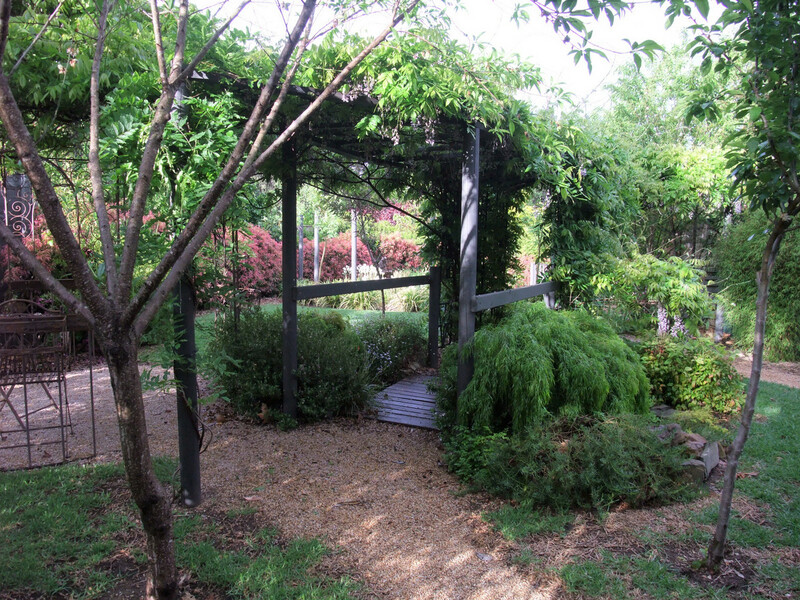 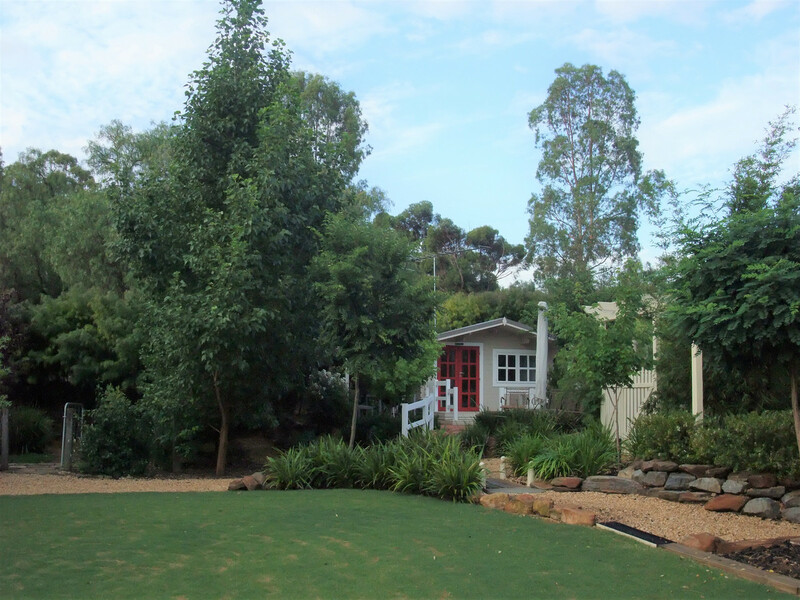 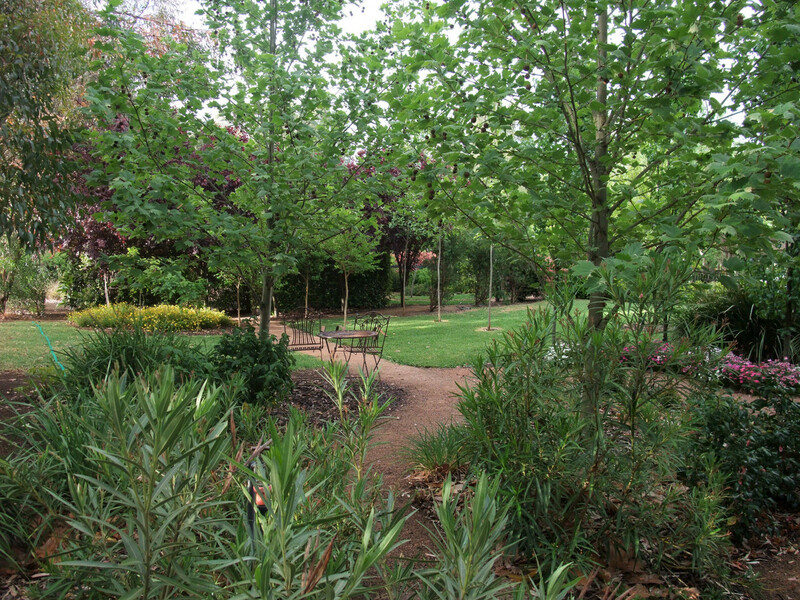 A beautiful botanic-like low maintenance garden with paths meandering through mature trees planted for all seasons. 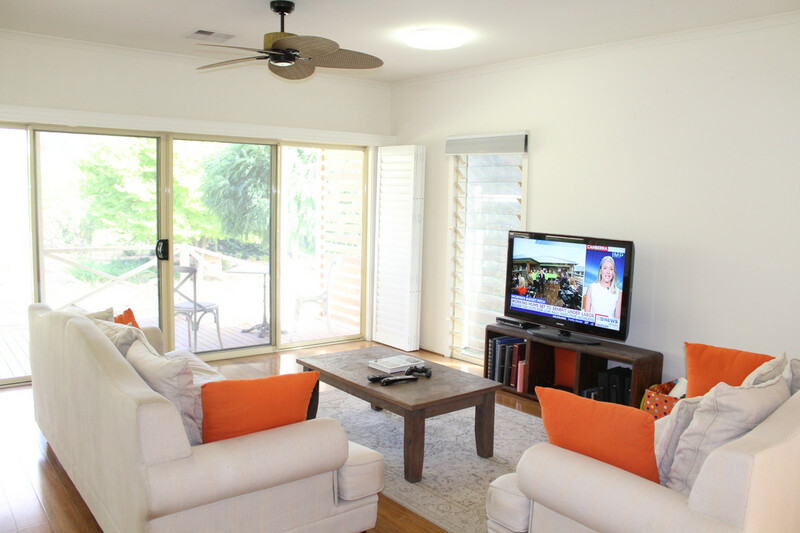 Set on 3259m2 with 2 titles, the 4 bedroom or 3 bed with study home has open plan living, 9’ ceilings, slow combustion heater, plantation shutters and loads of storage. 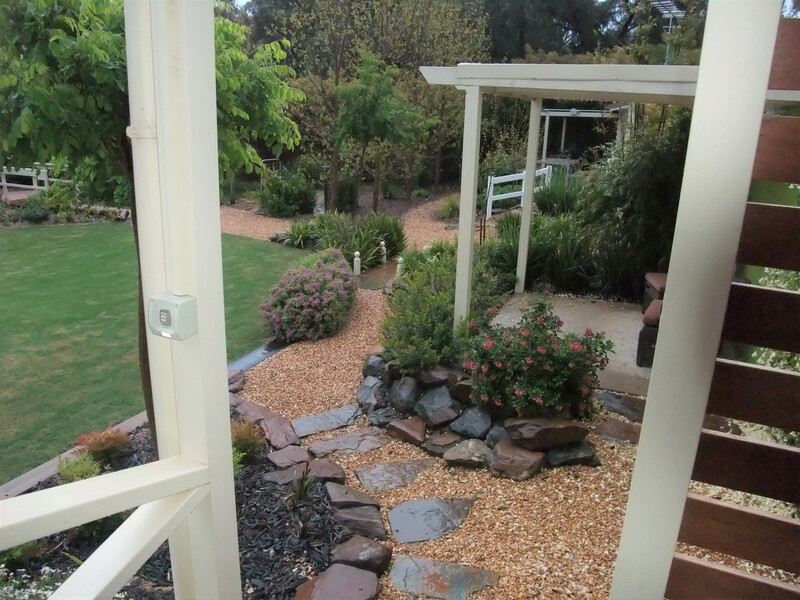 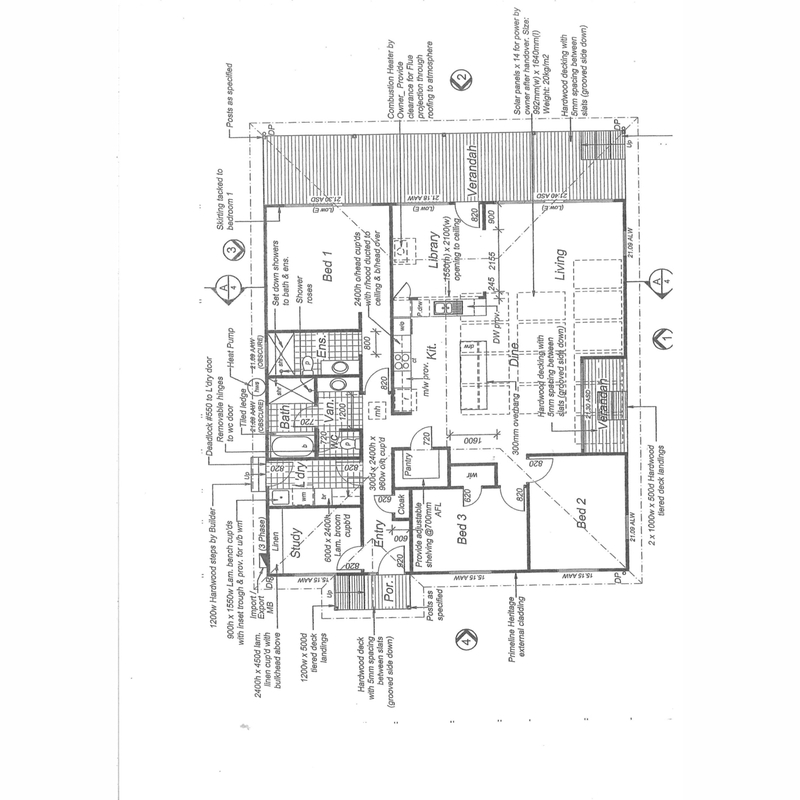 The master has ensuite and built-in-robe and third bedroom has a walk in robe. 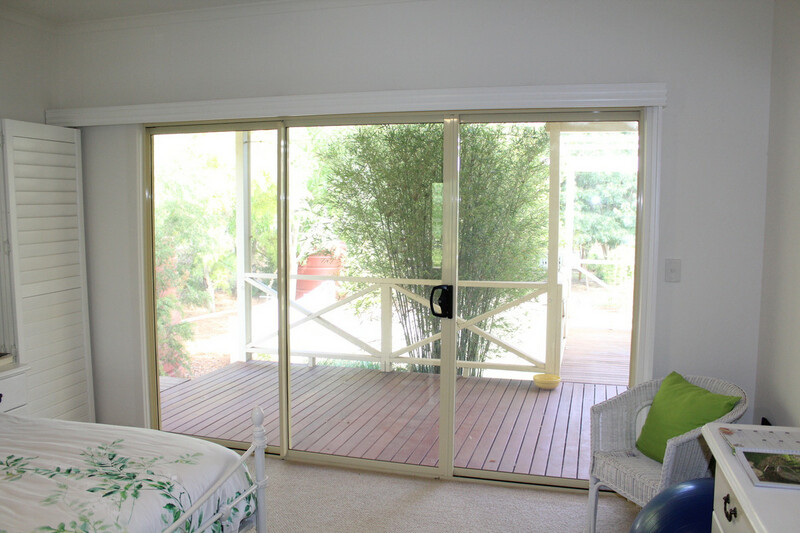 The sliding doors from the living and master give access to the large deck overlooking the magnificent garden. 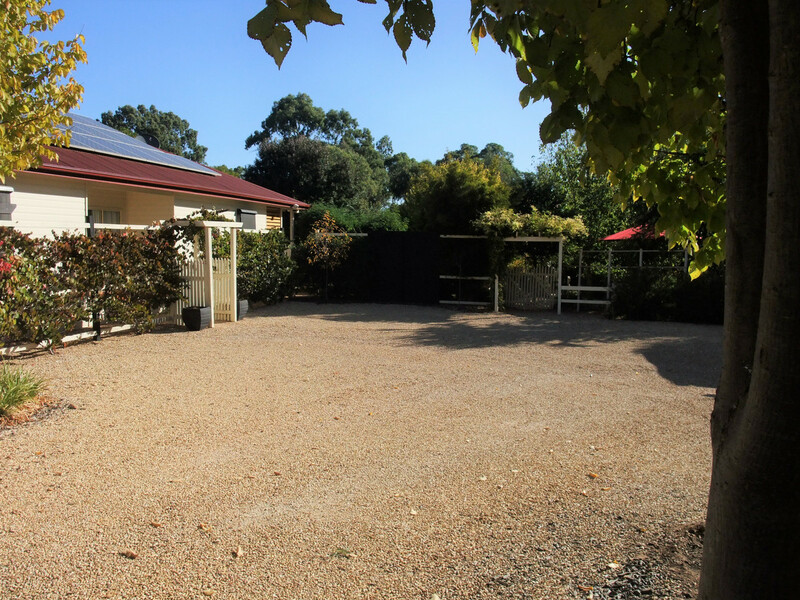 There is 5kW solar and ducted reverse cycle air conditioning throughout. 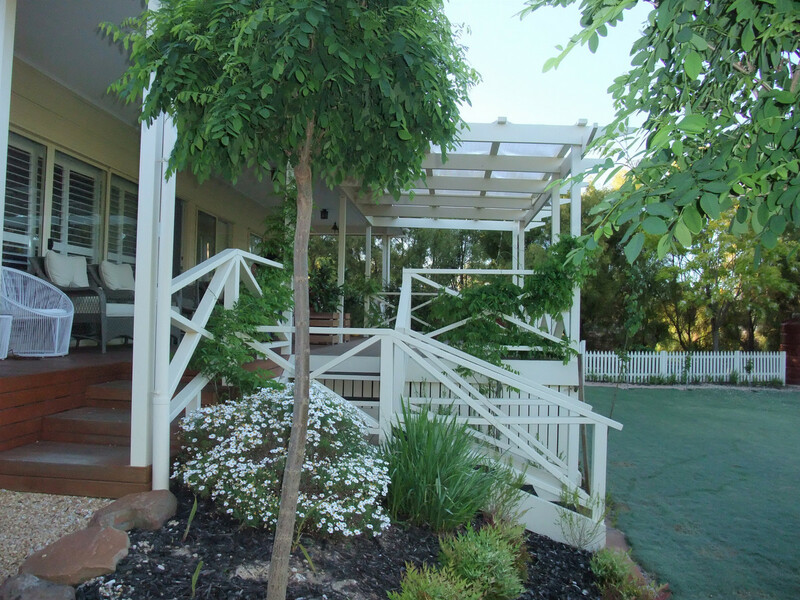 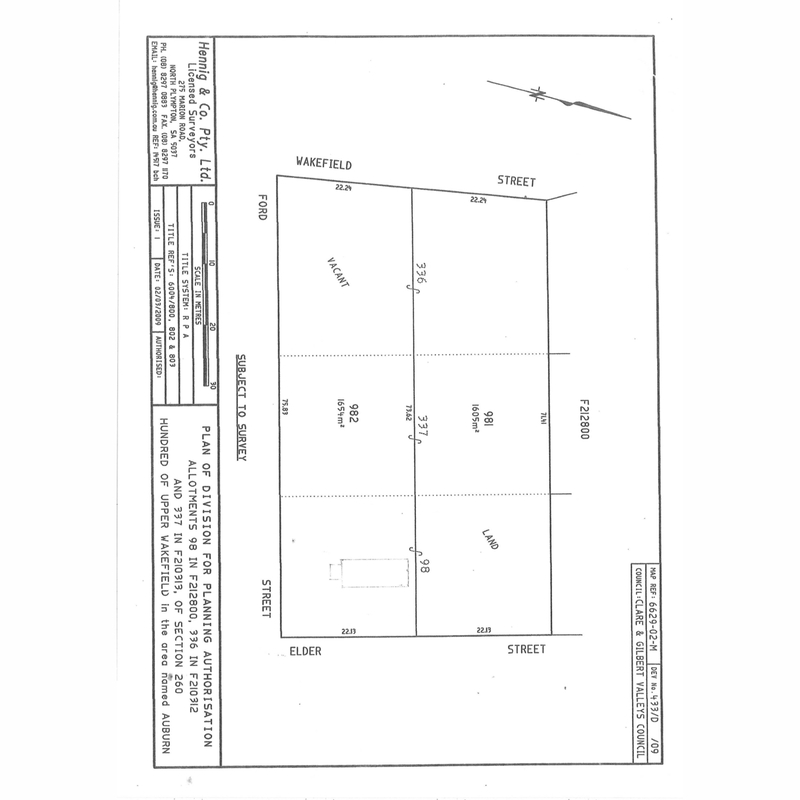 The property also has 3 phase power, under cover parking for 3 vehicles and a separate studio with split system air conditioner. 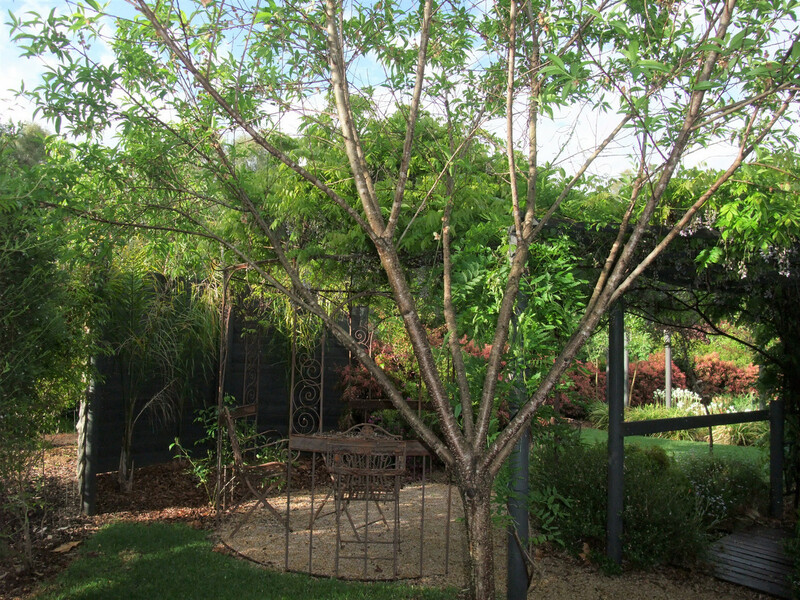 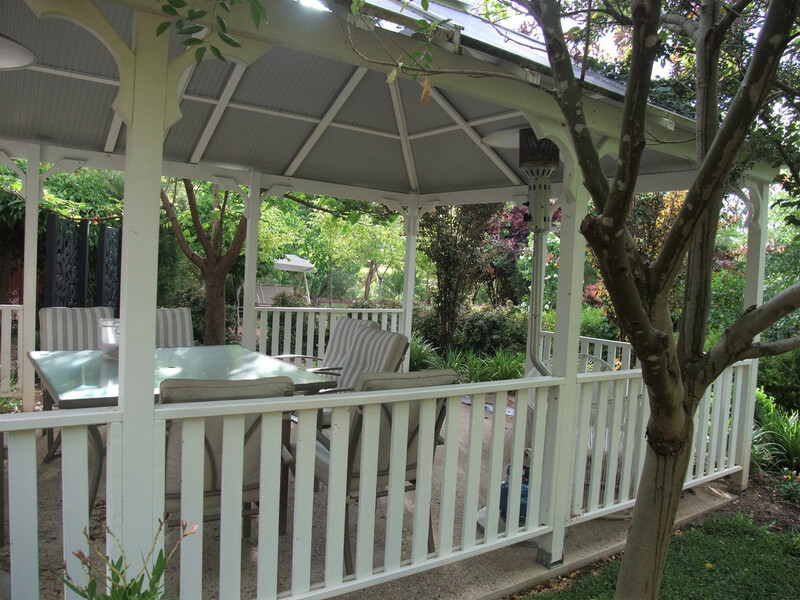 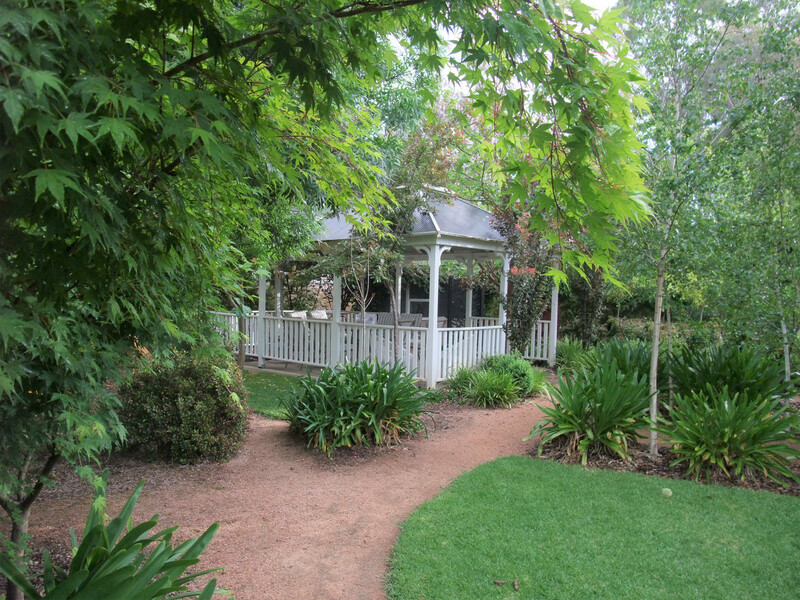 A large gazebo, set amidst beautiful trees, is the ideal spot for relaxing and entertaining guests.